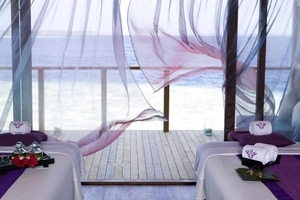 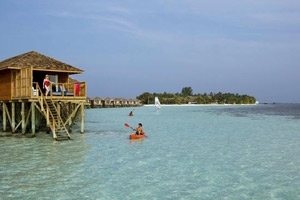 One of the Maldives’ most popular holiday resorts for couples and families, the Vilamendhoo Island Resort offers an enticing blend of fun, relaxation and luxury in a setting of extraordinary natural splendour. 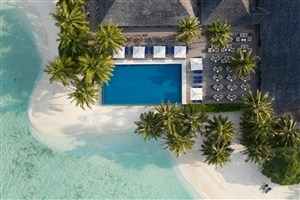 Surrounded by a beautiful lagoon, the Vilamendhoo Island Resort enjoys a peaceful setting with its well-appointed garden rooms, beach villas and over-water villas, while facilities include the Duniye Spa, two swimming pools, tennis courts and seven restaurants and bars. 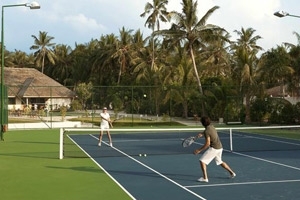 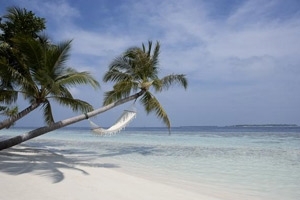 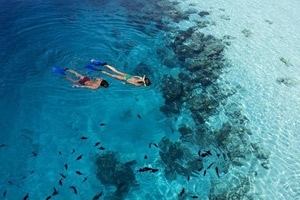 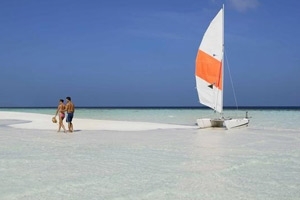 Vilamendhoo Island Resort is also ideal for those interested in snorkelling and diving. 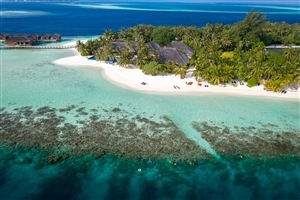 Experience paradise when you stay at Vilamendhoo Island Resort, a secluded resort situated on its own island amidst the azure waters of a stunning lagoon. 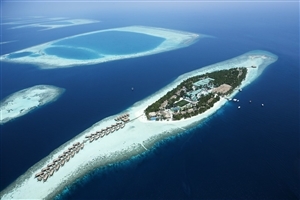 Just 900m long and 250m wide, Vilamendhoo Island is distinguished by its brilliant white sands and rich tropical greenery, creating a remarkable tropical setting for a dream luxury holiday. 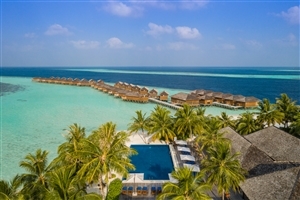 With no other resort located on the island, Vilamendhoo Island Resort ensures privacy to complement the serene atmosphere, making it the perfect choice for a romantic Maldives holiday, weddings, or honeymoons. 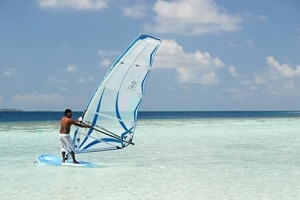 Vilamendhoo Island Resort is accessible via sea plane from Male International Airport. 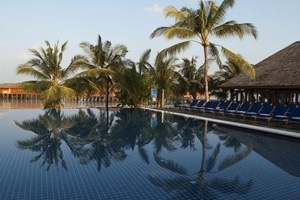 Also on resort are two fresh water swimming pools, one overlooking the beach which is exclusively for adults, and the other in the tropical centre of the island with a separate pool for children to enjoy. 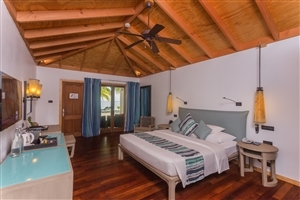 The Garden Rooms at Vilamendhoo Island Resort offers 55sqm of accommodation space and are located amidst the lush tropical gardens. 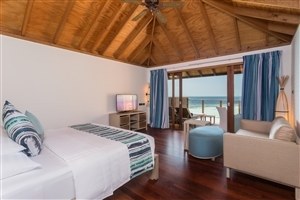 The Beach Villa at Vilamendhoo Island Resort offers 55sqm of accommodation space and enjoys a privileged location on the beach for unforgettable lagoon views. 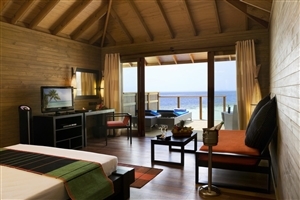 The Jacuzzi Beach Villa at Vilamendhoo Island Resort offers 65sqm of accommodation space and is located on the edge of the beach. 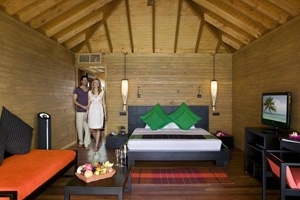 Equipped with a romantic Jacuzzi for two, the Villa offers a wooden sundeck with chaise lounges and lagoon views. 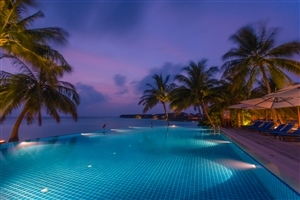 The Jacuzzi Water Villa at Vilamendhoo Island Resort offers 85sqm of accommodation space and is positioned above the sparkling lagoon for stunning views and a pleasantly relaxing setting. 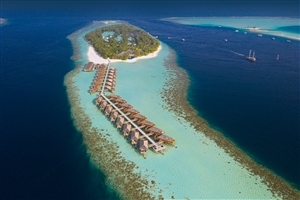 Features include direct access to the lagoon, a Jacuzzi for two, a partial open-air bathroom and a wooden sundeck. 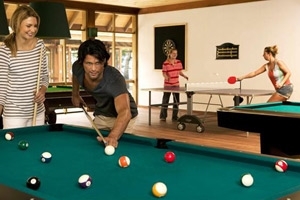 Funama/Ahima – Buffet restaurants serving breakfast, lunch and dinner. 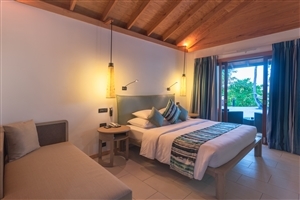 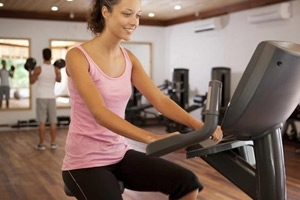 Funama caters for guests staying in the Garden Rooms and the Beach Villas, while Ahima caters for guests staying in the Jacuzzi Beach Villas and Jacuzzi Water Villas. 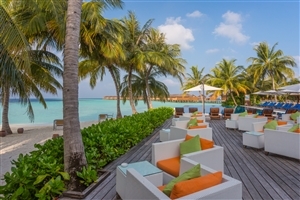 Asian Wok – A la carte Oriental restaurant. 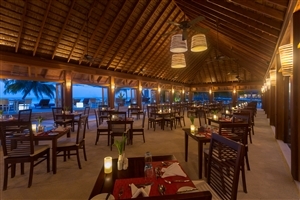 Hot Rock – A la carte restaurant serving seafood, steak and chicken cooked at your table on a volcanic ‘hot rock’. 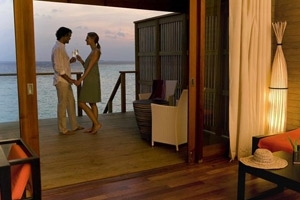 Beach Dinners – Romantic setting ‘under the stars’, ideal for a quiet meal-for-two.